Hey guys, did you know that Logic is biracial?! 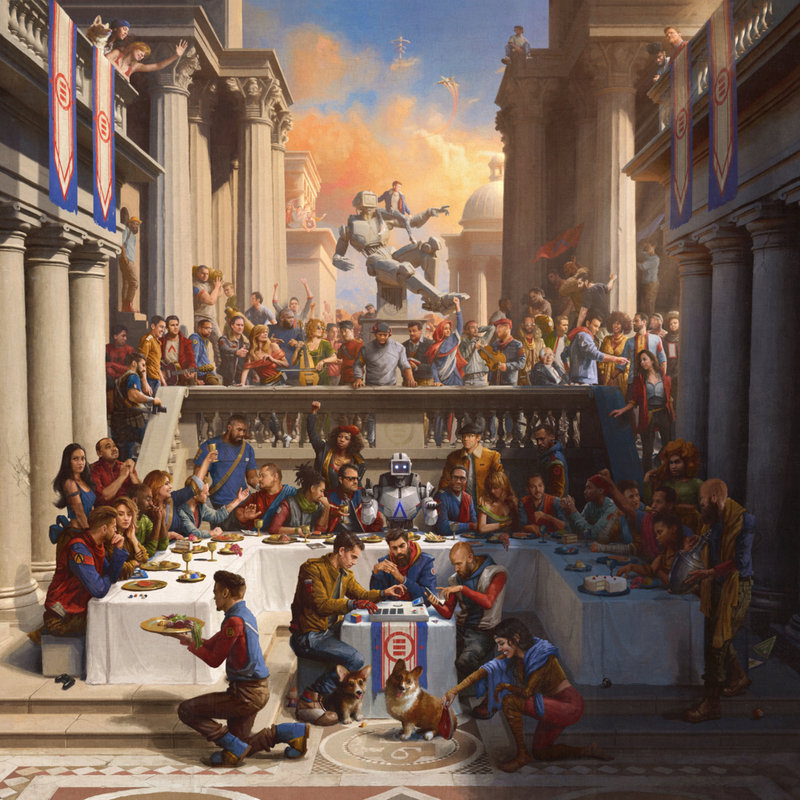 Maryland rapper Logic’s third studio album, Everybody, is yet another dense and sprawling concept album from the technical wizard. While there are still some great moments where we get to see just how impressive Logic is as a pure rapper, everything I have criticized about his music in the past is multiplied here, turning the project into what is easily his weakest effort. Logic builds a loose thread of a story around Andy Weir’s novel “The Egg”, where the album’s central character Atom has a discussion with God, played by scientist Neil DeGrasse Tyson, in which he learns he has been getting reincarnated as every person who ever lived in order to understand the full scope of human experience. Logic frequently speaks on his own life and the racism he experienced from both the white and black community, emphasizing a message of peace and love. While this is certainly an admirable message to have, the way Logic delivers it is heavy-handed, preachy and even contradictory at times. This is disappointing, as the music at its core is about as good as it’s ever been. Logic often comes across as more of a hip-hop fan who made it big than his own artist with his own creative vision, and he continues to wear his influences on his sleeve throughout. Everybody contains some standard hip-hop beats that frequently draw influence from rappers like Kendrick Lamar, J. Cole and Drake – all infused with an orchestral and cinematic quality that might be Logic’s most original recognizable trait. He demonstrates his impressive double-time flow on almost every track here, showing that he is still among the top of his class in terms of sheer technical ability. A unique range of guests appear here, most of them discussing these important issues with much more gravitas than Logic can – Killer Mike delivers a preacher’s sermon at the end of “Confess”, rising R&B artists Alessia Cara and Khalid join forces on Logic’s suicide prevention anthem, and “America” brings together rap legends Black Thought, Chuck D and No ID. Even more unusual is Logic trading bars with his polar opposite Juicy J, and the appearance of actor Ansel Elgort singing at the tail end of “Killing Spree”. Logic’s performance across the board is equal to or possibly even better than his previous works – it’s a shame that what he’s saying brings this way down. I could go on forever about the nuances of Logic’s dexterous flow, and even his singing voice here is a pleasant surprise, appearing more than you would think. Every track but one here is produced by Logic’s close friend and frequent collaborator 6ix and Logic himself, trading off on who receives primary credit, and these instrumentals are a very strong aspect of the album as well. Learning that Logic took on a bigger role in production than he has before impressed me even further – these are some seriously dynamic and energizing beats which should have provided a backbone emphasizing the importance of Logic’s message. “America” is driven by a classic old-school boom-bap beat and a catchy yet absolutely menacing synth bass loop, while the beat of “Take It Back”, one of the album’s best, is wasted on a two-minute rap and a 5-minute speech. Logic’s aspirations as a movie director cause him to extend his skits even further than before, as the central thread of the story and Logic’s discussions of his own life experiences often extend past 5 minutes. Some tracks have more talking than music, decreasing the album’s replayability. Everything is made even more ridiculous when it is revealed that the whole world Logic paints here is just a part of the one he created on his previous album, The Incredible True Story. This album turns out to just be walking music for the astronauts on the planet Paradise. 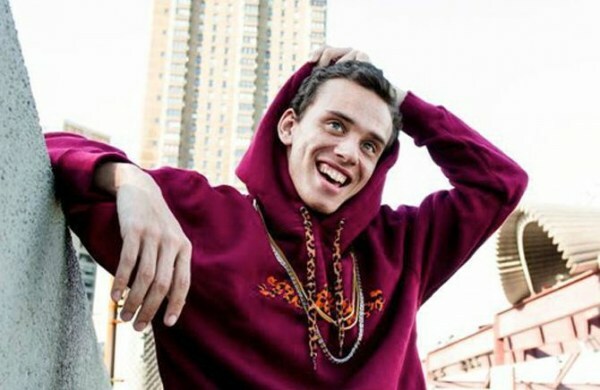 Logic has frequently been accused of being a “biter” – that is, blatantly lifting aspects other rappers have popularized for himself. “Everybody” is one of the album’s best tracks, but that’s because it’s basically just Kendrick Lamar’s “Alright”. It all becomes even more evident here. The idea of this album is very admirable and interesting in theory, but falls completely flat in execution. Logic has been proving that his intentions are in the right place for a few albums now, but he lacks the narrative coherence to effectively bring out what he is trying to say, settling for repetition of surface level concepts instead. But hey – he’s a pretty impressive rapper.